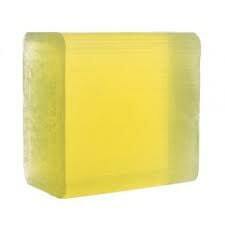 This soap base can vary from clear in color to a yellow/orange translucent color and it does have a little odor which is not unpleasant. It does not seem to alter the fragrance that you are adding to it. It holds fragrance oil, stronger essential oils and color very well. 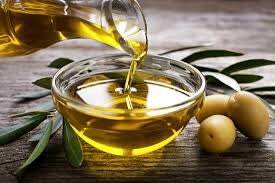 As an ingredient in soap, olive oil is considered to be a great treatment for dry skin as its moisturizing properties help to soften the skin texture and nourish it without interfering with the natural skin function. It also attracts and holds moisture in the skin. The soap arrived to me very fast! Packaged well. Great product and customer service.